for spring 2013 makeup trends you will be seeing a lot of matte colors in blue, purple and green. 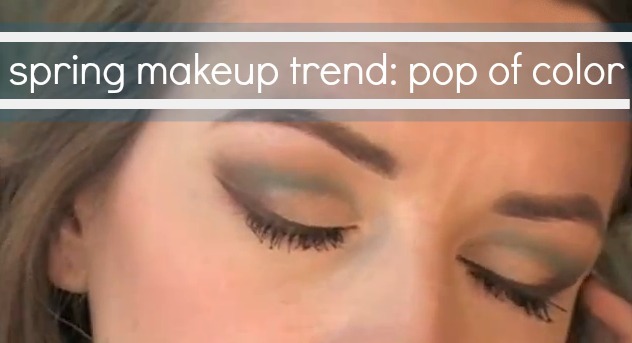 wearing those colors can be a little tricky so i created this tutorial to demonstrate a wearable eye makeup look embracing the spring trends. using my Make Up For Ever Technicolor palette i put together this makeup tutorial adding the color in an easy, subtle way. check out the video below to see how i created this look. This is a gorgeous look, thank you for the tutorial! Gorgeous look! I was so happy to meet you at LuckyFABB- I feel like beauty bloggers were in the minority, so it made me feel a lot more at ease every time I came across a beauty blogger! :) Hope you had as much fun as I did!